The Sim series comes with instant recognition. 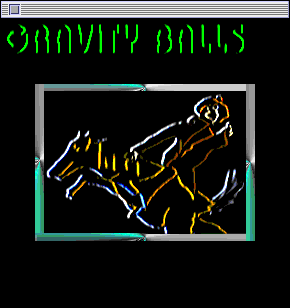 Outside of SimCity, most of the Sim games never reached any kind of widespread success, but if you bought one, you knew what you were getting just based on the title. 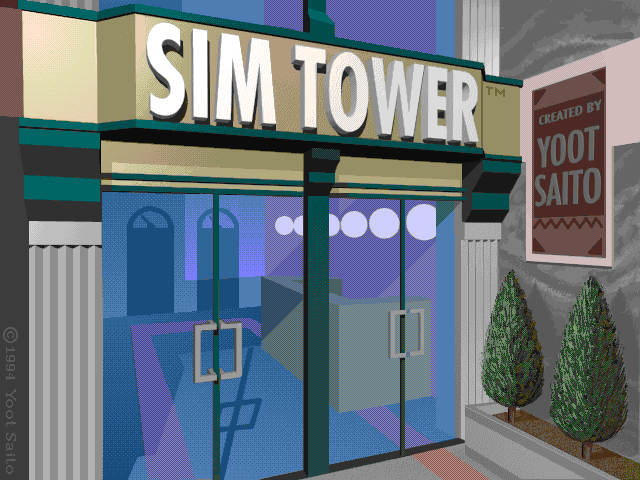 Maxis’s Sim games had become a genre unto themselves: each game was an engaging simulation of a given subject. While I wrap up this semester and get ready for a relaxing summer, here’s another great sample of forgotten game music. Traffic Department 2192 has an epic, bombastic score despite working with an incredibly limited selection of Sound Blaster instruments. Two particular pieces, INTRO and INTRO2 (so cleverly named), deserve special recognition for sounding like grand orchestral scores within their technical constraints. The two pieces play one after another during the game’s opening sequence and do a good job contrasting the triumphant beginning with the decidedly dark, somber shift in tone. The soundtrack for Traffic Department was composed by three people: Robert A. Allen, John Pallett-Plowright (who only wrote one song), and Owen Pallett (also known as Michael Pallett-Plowright). Allen and Owen Pallett composed INTRO and INTRO2 respectively. Remarkably, Pallett was just 13 years old when he composed INTRO2! Little things that put your own life in perspective, and it makes the game’s music that much more engaging. EDIT: Since this posting, Owen Pallett was nominated for an Oscar for his work on the soundtrack for Her. That’s some serious talent! Just a quick and sad note: Norio Ohga, the Sony Computer Entertainment founder who’s generally credited with inventing the CD, died earlier this week. His design for the compact disc was hugely influential and paved the way for DVDs, Blu-Rays, and CD-ROMs. The CD was a crucial piece of technology for gaming’s coming-of-age, and it’s always unfortunate and a little distressing to see crucial figures from gaming history passing on. It’s a testament not only to how old this technology is, but also to how far we have come in just three decades or so. Oftentimes, the simplest games are the most fun. When a formula doesn’t have much nuance or complexity, it can engage the player without being prohibitively hard to learn. If there’s one concept that games have mastered, it’s the futuristic blood sport. Sure, movies like The Running Man came first, but Smash TV, MadWorld, and their ilk turned those fantasy game shows interactive and pretty much left nowhere else to go. 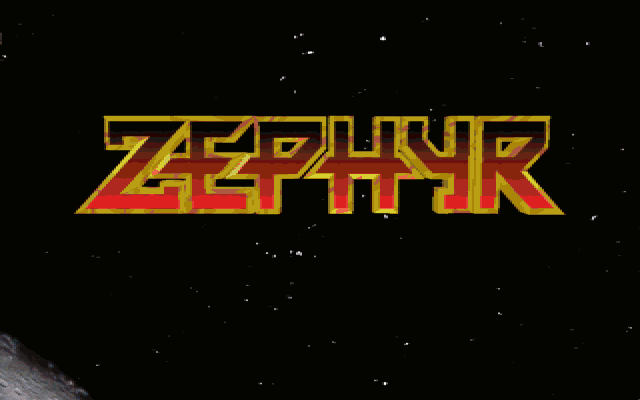 Just don’t tell that to Zephyr. Hey boys and girls! I decided that during downtime when I’m busier, I would throw some content up in the form of music highlights! So many of these weird old games have great tunes in them, so it’s worth pointing out some of the good ones. This first one is the stock music piece “Telecom” used in The Labyrinth of Time in 1993. Whenever people reach out about the music from The Labyrinth of Time, “Telecom” is one of the bits that always gets the most praise. Understandably so; especially compared to the rest of the game’s music, “Telecom” is moving, complex, and multilayered. The last segment of the song richly combines half a dozen disparate instruments into a strange and elaborate noisescape. The Labyrinth of Time‘s soundtrack consists of a 20-minute-or-so loop of music from the production archives at APM Music. This particular song by James Asher came from the album “Industry 2,” which seems to be filled with the blaring synth music that you’d find in a corporate training video in the 80s. With a few exceptions, the rest of the album is painful to hear. Thank goodness at least one interesting – nay, stellar! – track came out of it.